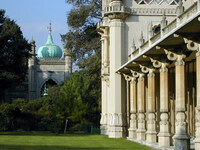 English architect who worked closely with Humphry Repton and developed a picturesque style of architecture. This can be seen in the model village he designed at Blaise and in the buildings around Regent's Park in London. Repton was aggrieved because he considered that John Nash had poached many of his best clients, including the Prince of Wales. Repton's son's, John Adey Repton, and George Slaney Repton both worked for John Nash. 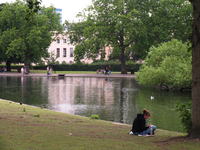 John Adey did the drawing for the buildings which encircle Regent's Park.